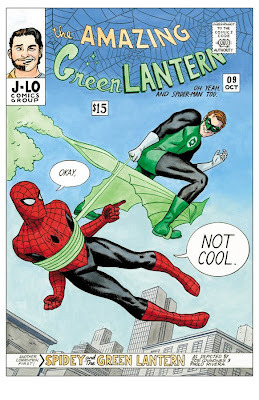 Joe Quinones' interweb-log: The AMAZING ...Green Lantern? Pictured above is the finished art from a collaborative piece comics pal Paolo Rivera and I worked on. Technically it's not the first. 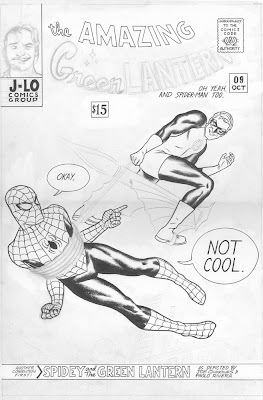 The artwork is, of course referencing the classic John Romita (Sr.) cover to Amazing Spider-man no. 39 from way back in 1966. Paolo and I will be selling these as prints (which come richly colored on 11 by 17 card stock) this weekend at Wizard's 'Big Apple Con' in NYC. 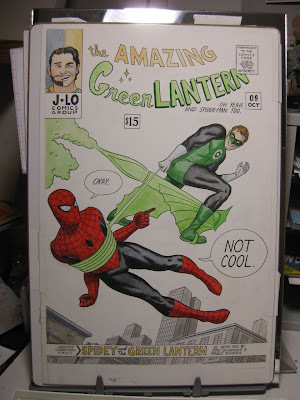 The two of us will both be tabling there beside one another and will have the original piece on display as well. So if you'll be attending the con, keep an eye out! Your e-mail doesn't seem to work so i thought i drop a line here about a commissions.